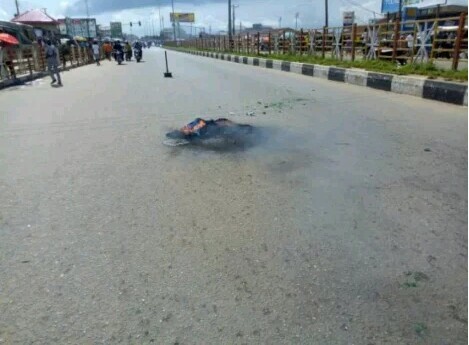 Protest rocked an area in Akure, the Ondo State capital after Civil Defence officers kill two siblings. 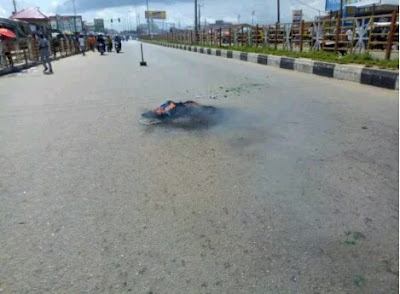 It all started when a motorcyclist, whose name is still unknown, was said to have been knocked down by an official of the corps on Tuesday, along Ondo road in the state capital which resulted in the death of the commercial motorcyclist. The Civil Defence official, who was said to be driving an official vehicle, knocked down the motorcyclist and his two passengers, with the passengers rushed to the State Specialist Hospital, Akure, and said to be in critical conditions.However, on Wednesday, commercial motorcyclists in the state protested the killing of their colleague as they took the body of the deceased to the office of the NSCDC adjacent the Government House, Alagbaka, Akure. 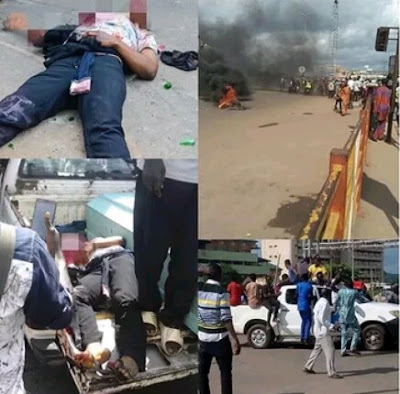 According to eyewitnesses, the protest later turned awry as a trigger-happy officer of the corps shot into the protesters and killed the elder sister of the unnamed deceased, who was also part of the protest. 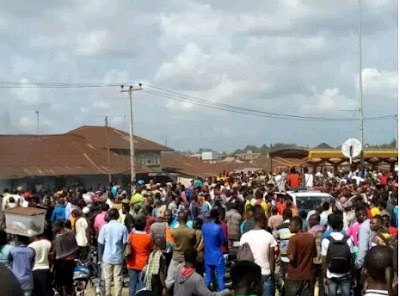 A source with the corps confirmed that one of their men had accidentally knocked down a motorcyclist on his way to write his promotion exam and the protesters had come to attacked them. One of our men was on his way to write his promotion examination when the Okara rider dangerously overtook the officer’s vehicle and in the process knocked him down which resulted in his death before he was rushed to the hospital. “I understand that the other two passengers are still in the hospital.